In September, 88% of our cases came from rural Kenya, where word has spread throughout the region about the clinic's ability to connect with specialist physicians. Additionally, we received cases from Haiti, Cameroon, and Egypt. The cases we receive come from rural counties, impoverished urban neighborhoods, and established hospitals. 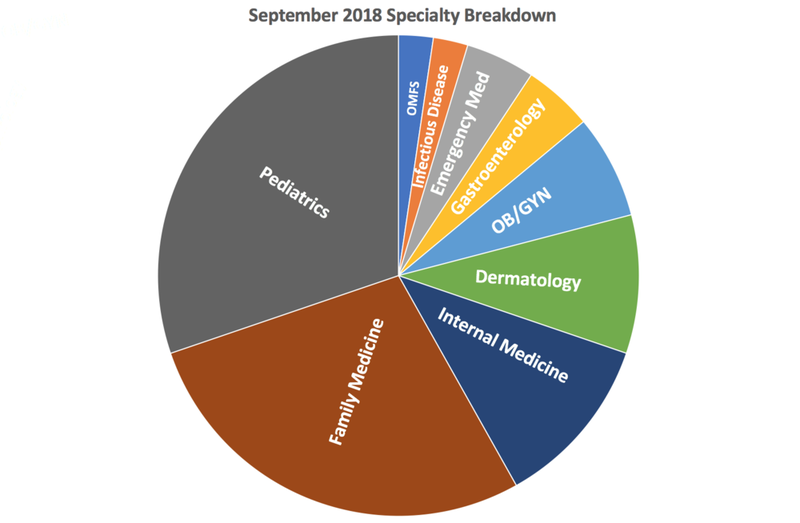 This graph highlights the diverse needs of each of these partners, and we are grateful to be able to connect each of them with the specialists they need.